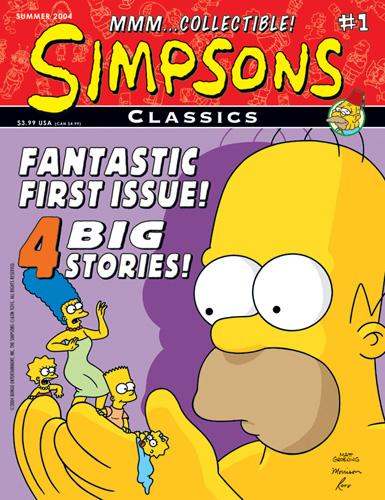 This article is about the comic series. 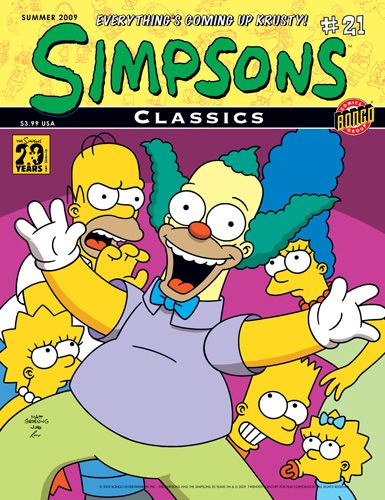 For the DVD series, see The Simpsons Classics. 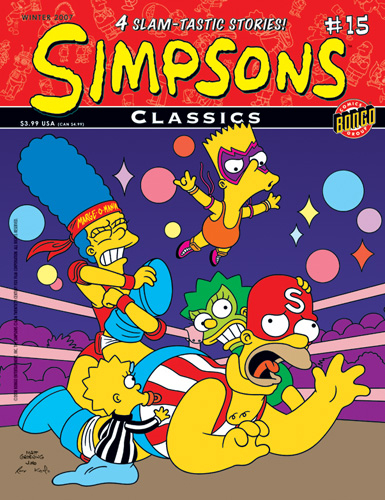 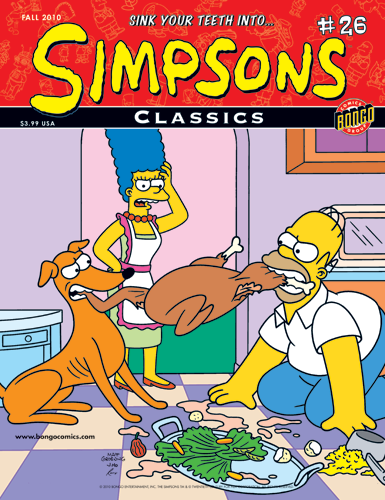 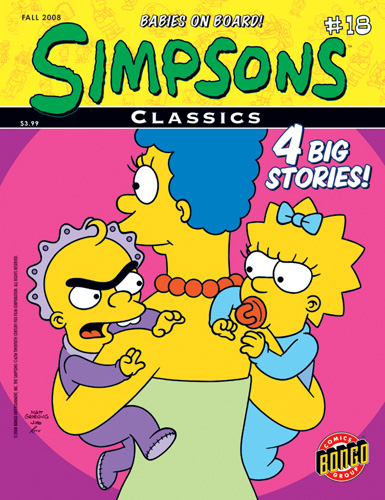 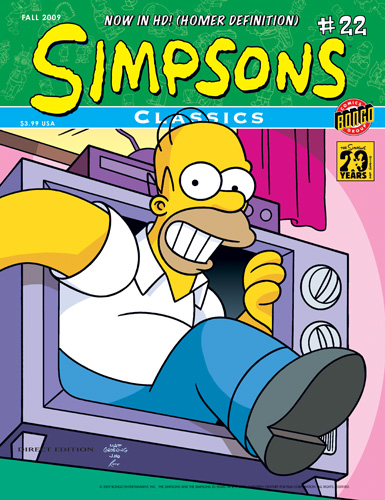 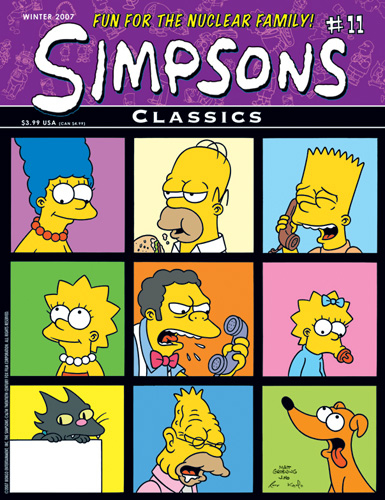 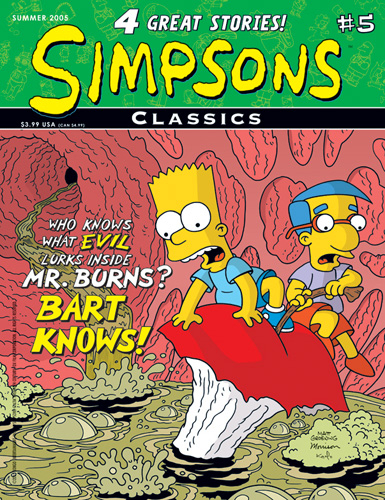 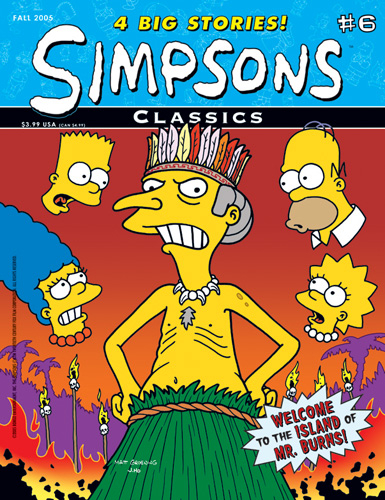 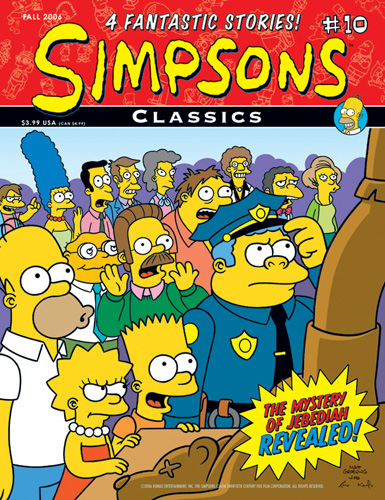 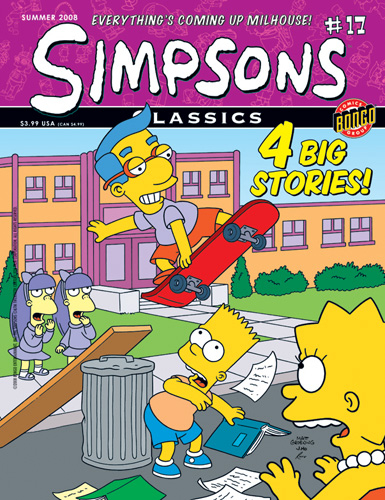 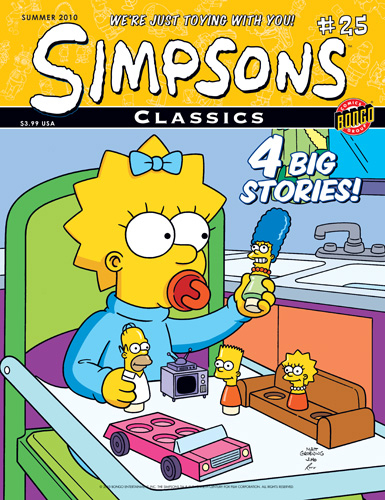 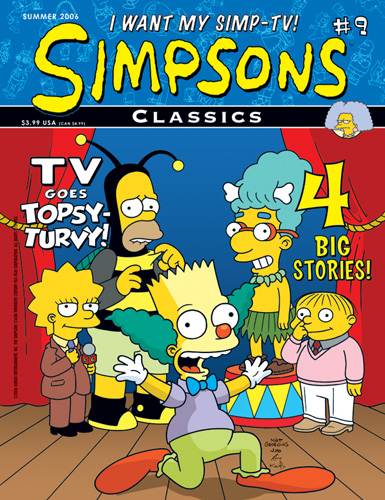 Simpsons Classics was a series that publishes old issues of the Simpsons Comics. 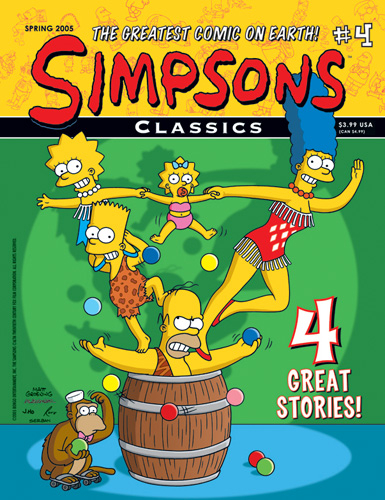 It had been released on a quarterly schedule every year since summer 2004, and each issue reprint two issues of the initial Simpsons Comics series. 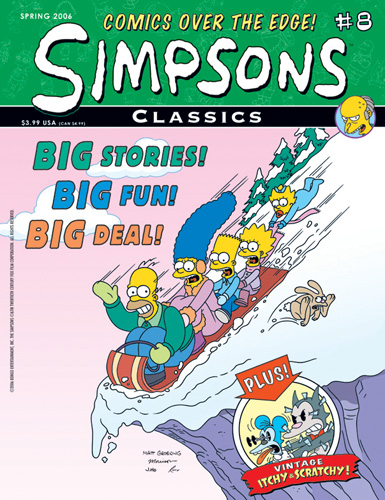 The last issue was released on October 26, 2011. 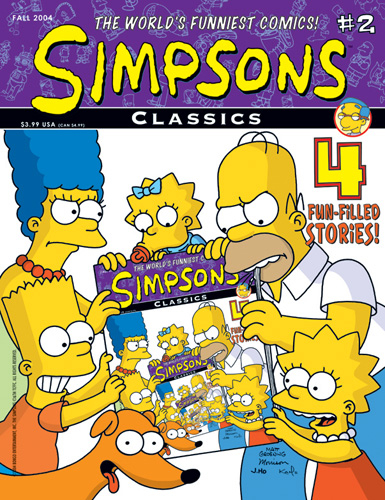 To be found in the middle of each comic book is the so-called "Cover Gallery". 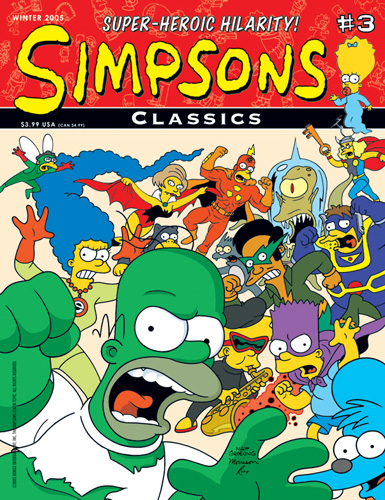 It consists of a poster twice as big as the comic book itself and bears the cover of the first comic included on the front side, and the cover of the second one included on the back side. 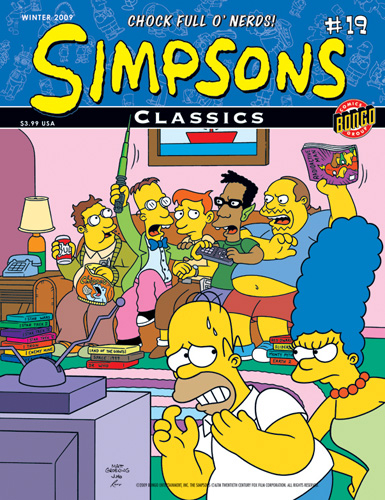 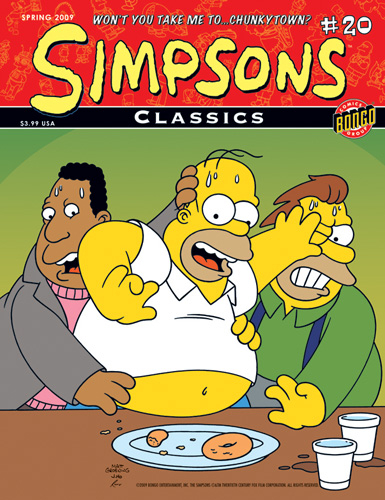 Simpsons Classics 7 Survival of the Fattest! 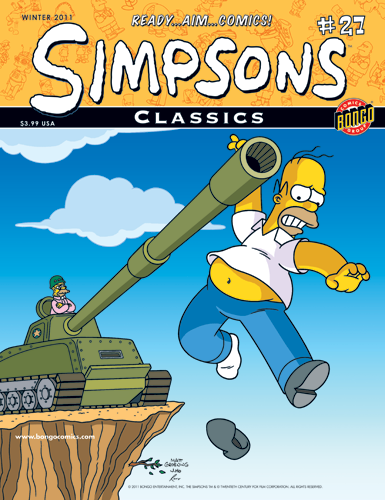 White-Knuckled War Stories: Spare the Rod, Spoil the Grunt! 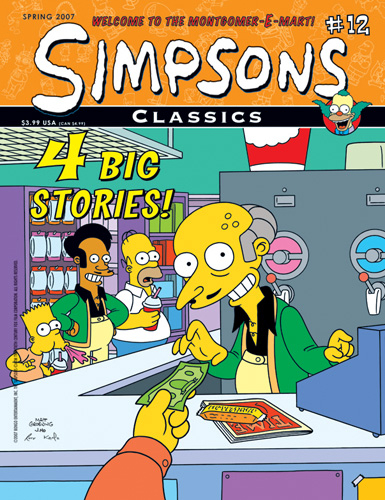 Give Me Merchandising or Give Me Death! 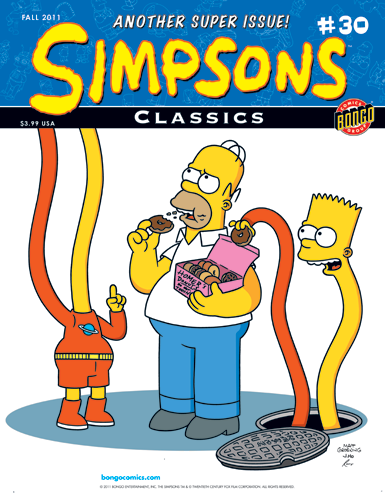 Bumblebee Man in: ¡Ay, que lastima! 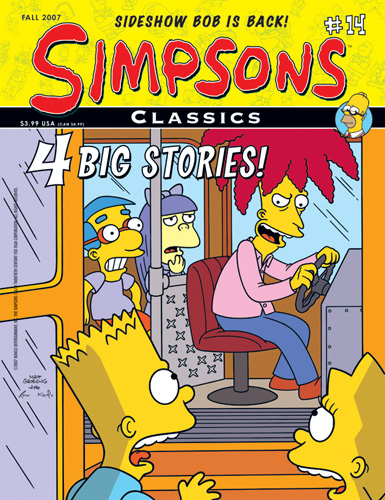 Simpsons Classics 14 Get off the Bus! 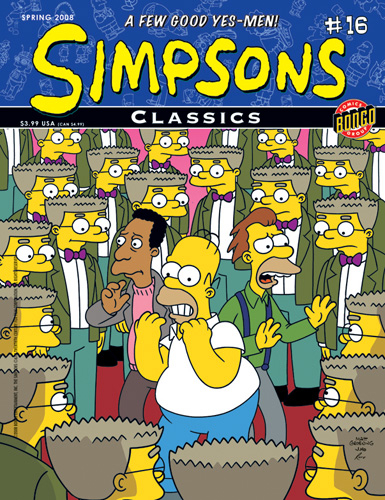 Let's Get Ready to Bumble! 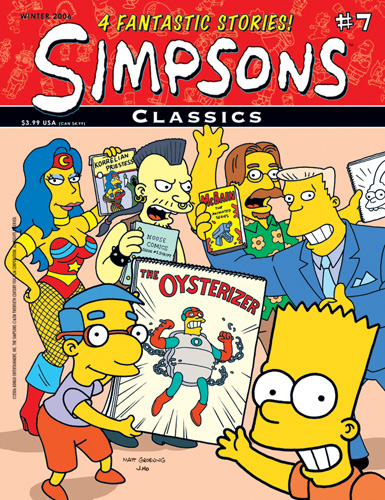 The Official Cockamamie's Mail Order "Cult-alog" of Cool Pop-Cultural Collectibles!! 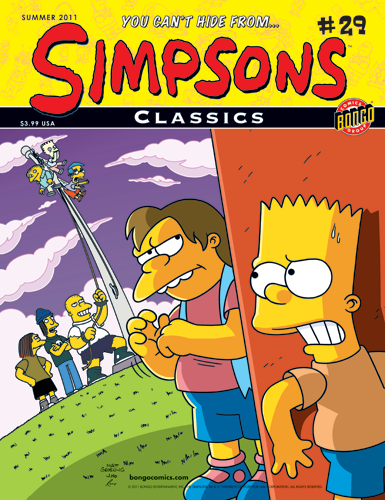 What Would Possibly Happen If Cletus Went to College? 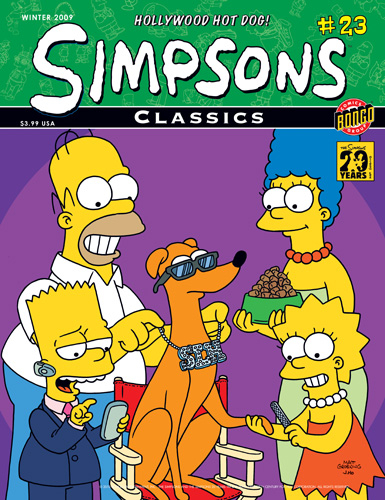 Simpsons Classics 29 How the Vest Was Won! 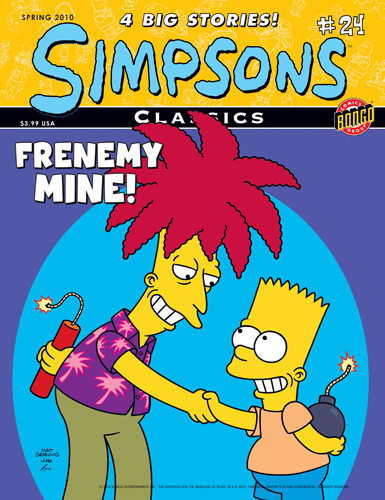 Modified on March 3, 2018, at 09:03.